It’s safe to say Eduardo Li, the 56-year-old president of Costa Rica’s national football federation, FEDEFUTBOL, didn’t think this was how his trip to Europe was going to end. Li was expected to be formally included as executive committee member on Friday during FIFA’s annual congress held in Zurich, Switzerland. Instead he was arrested. Li was one of 14 FIFA and sports marketing officials arrested Wednesday by Swiss police at the request of the U.S. Department of Justice in connection with a deeply-rooted racketeering scheme that included some of the highest officials in football’s governing body. Several FIFA officials and sports marketing individuals, including Li, allegedly used their positions to “engage in schemes involving the solicitation, offer, acceptance, payment, and receipt of undisclosed illegal payments, bribes, and kickbacks,” and committing fraud, bribery and money laundering, according to the indictment unsealed Wednesday. After more than a decade in professional football, Li built himself into a regional and international figure in the sport, heading FEDEFUTBOL since 2007. He later assumed leadership roles in important regional bodies, including the Confederation of North, Central American and Caribbean Association Football (CONCACAF) in 2013 and FIFA’s executive committee as CONCACAF’s representative on April 15. And Li was at the helm of Costa Rica football during some of its greatest achievements, including the Sele’s historic World Cup run in 2014. But according to U.S. justice officials, with that raise came the temptations of the vast criminal conspiracy outlined in the indictment. Li allegedly asked for and was paid a “six-figure bribe” in 2009 as part of a scheme to grant the exclusive commercial and broadcast rights to the 2018 World Cup qualifying matches for Costa Rica’s men’s national team, according to the indictment. At this writing, Li is under arrest in Switzerland awaiting extradition to the United States to face charges of racketeering, money laundering, wire fraud, and wire fraud conspiracy. He has refused an expedited extradition process, Foreign Ministry spokeswoman Melissa Duran told The Tico Times in an email. If found guilty, he could spend up to 20 years in prison. Eduardo Li was born in the Pacific port city of Puntarenas in 1958. 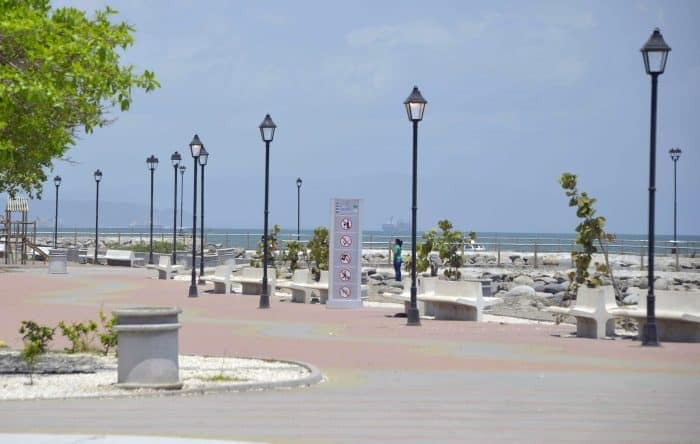 Self-described as “100 percent porteño,” the nickname for Puntarenas natives, Li is a third-generation Costa Rican after his paternal grandfather immigrated to the country from China in 1920. Although best known for his football career, Li’s formal education was in civil engineering. He graduated from the Universidad Regiomontana in Nuevo León, Mexico, but engineering didn’t hold his attention long. After two years practicing the trade, Li started his own international transportation company and customs agency. Today, he appears as a board member for 12 corporations. It was not until the early 2000s that Li became formally involved in football. In 2002, he became the president of Municipal Puntarenas. The team had once been a popular Division 1 club but had since slipped and was struggling to survive as a Division 2 club. In 2004, along with entrepreneur Adrián Castro, Li bought a Division 1 franchise owned by Club Santa Bárbara and founded Puntarenas FC, bringing a Division 1 team back to his province. Li’s success turning around the sport in Puntarenas set him up for his next big move. 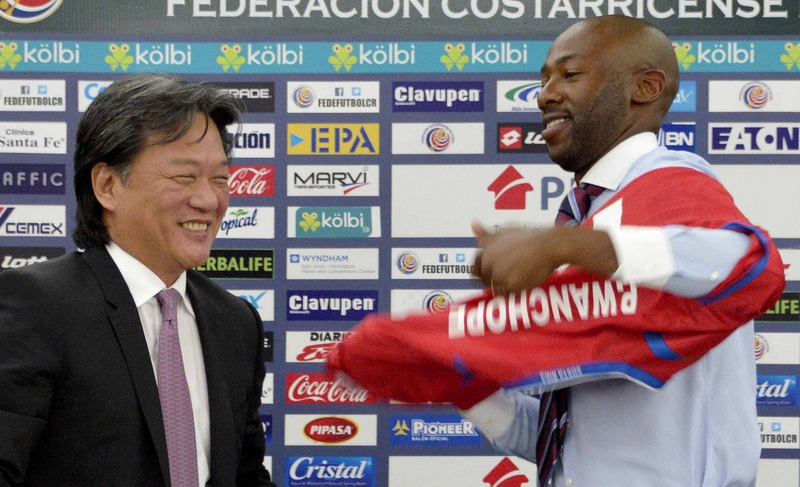 After Costa Rica ended its disappointing 2006 World Cup showing without a single win, Li was elected president of FEDEFUTBOL on the hopes that he could bring his success in Puntarenas to the Sele. He was re-elected president in 2011 for another four-year term. In February 2009, Li’s former business partner Adrián Castro was gunned down in Puntarenas by two hired killers on a motorcycle. The criminal investigation into that killing is still open. Later that same year Li began negotiations for the commercial and broadcast rights to the Sele’s 2018 World Cup qualifying matches with Traffic Sports USA, a sports marketing company at the heart of the FIFA corruption scandal. According to the indictment, Li was listed as a beneficiary of bribery and fraud schemes related to obtaining various CONCACAF rights linked to malfeasance by Traffic-affiliated companies. The Traffic Group is a multinational sports marketing company that aggressively pursued broadcast and commercial rights for football events across the Western Hemisphere. Traffic Sport USA’s President Aaron Davidson was among those indicted Wednesday along with the São Paulo-based company’s founder and owner, José Hawilla, a former sports journalist. The FEDEFUTBOL president allegedly asked a Traffic employee, identified as “co-conspirator #4,” for a “six figure bribe” to renew Traffic’s exclusive worldwide commercial rights to World Cup home qualifying games in advance of the 2018 World Cup, to be hosted by Russia. In September 2009, Li and the Traffic co-conspirator allegedly signed a licensing deal for between $2.55 and $3 million, depending on the team’s success. After the co-conspirator left Traffic to become general secretary of CONCACAF in 2012, “Li continued to seek bribe payments in connection with the sale of FEDEFUT’s future World Cup qualifier rights,” according to the indictment. The indictment listed a wire transfer for $27,500 from a Traffic Sports USA account in Miami to a Wells Fargo account in New York for credit in an account under FEDEFUTBOL’s name at Banco Lafise in Costa Rica, allegedly linked to the kickback scheme. In September 2012, Li, who was by now also vice president of the Central American Football Union, UNCAF, was a member of the CONCACAF evaluation committee who approved a $15.5 million contract to World Sports Group and Traffic Sports. The deal covered the exclusive broadcast rights for the 2013 Gold Cup, and the 2012-2013 and 2013-2014 CONCACAF Champions League, among others. According to the indictment, the contract for the rights involved a $1.1 million bribe to CONCACAF President Jeffery Webb that was approved by Traffic’s Aaron Davidson. Co-conspirator #4 was not named in the indictment but his description matched that of Enrique Sanz de Santamaría, a Colombian-American who was Traffic vice president and named the confederation’s general secretary in July 2012. Under Li’s tenure, Costa Rica achieved some of its greatest athletic accomplishments; among them: Fourth place at FIFA U-20 World Cup Egypt 2009, Quarterfinals at FIFA World Cup Brazil 2014, and in October 2014 Costa Rica’s first qualification for a FIFA Women’s World Cup, to be held in Canada in July. Li also signed several sponsorship deals with sportswear brands that provided national teams with low-quality uniforms and gear. FIFA’s Independent Ethics Committee temporarily suspended Li and 10 others Wednesday in the wake of the arrests. Jeffrey Webb, Julio Rocha, Costas Takkas, Jack Warner, Eugenio Figueredo, Rafael Esquivel, José Maria Marin, Nicolás Leoz, Chuck Blazer and Daryll Warner were among those suspended. Laianer Arias contributed reporting to this article.